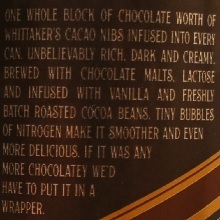 Brewer Description: (from can) One whole block of chocolate worth of Whittaker’s cacao nibs infused into every can. Unbelievably rich, dark and creamy. 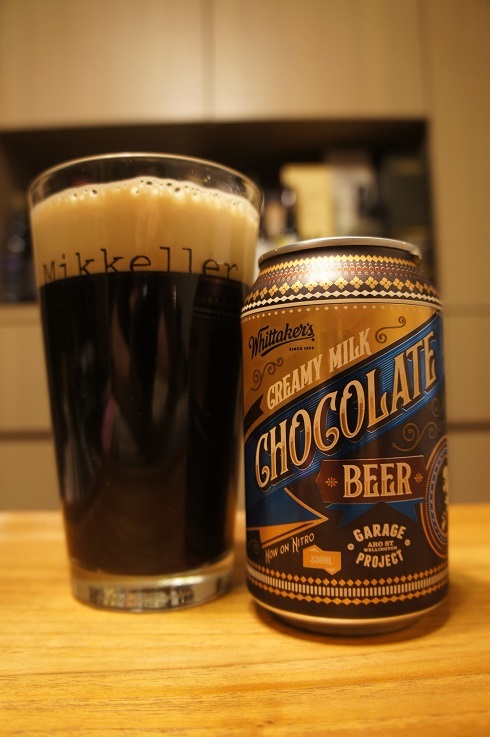 Brewed with chocolate malts, lactose, and infused with vanilla and freshly batch roasted cocoa beans. Tiny bubbles of nitrogen make it smoother and even more delicious. If it was any more chocolatey we’d have to put it in a wrapper. Intro: A 330ml can with a best before date of 3rd May 2019. 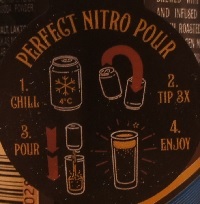 Poured into a Mikkeller pint glass as per the instructions for a ‘perfect nitro pour’. Appearance: A clear dark brown colour with a slight amber hue, and an almost two finger light tanned head that had excellent retention and left some nice lacing. Aroma: Strong, rich, chocolate, cocoa beans with a touch of vanilla and nuttiness. Taste: Bittersweet chocolate, milk chocolate, just a lot of chocolate with hints of cream and vanilla. Mouthfeel: Creamy, smooth, medium bodied with soft carbonation. 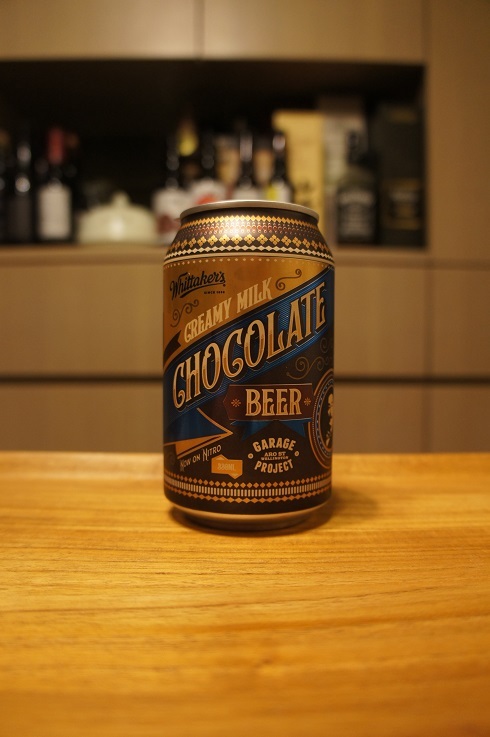 Overall: A good and wonderful chocolate drink. It may not be complex, but the rich chocolate in the aroma and taste made it easy to drink. If the vanilla was even stronger, I think this would have been even better.